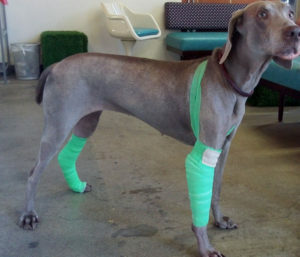 Wound healing can be one of the more difficult to manage aspects of pet rehabilitative care. 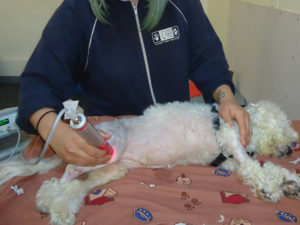 For all wounds – including bed sores, post-operative wounds and infected traumatic wounds – we use a variety of effective approaches and techniques. To most completely and swiftly heal wounds, there is no substitute for expertise in this nuanced field. 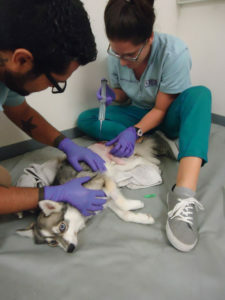 Our canine rehabilitation certified veterinarians and physical therapists have undergone additional specialized training, contributing to their repeated success in eliminating uncomfortable and debilitating wounds. A full range of state-of-the-art materials and technologies is available to CARE clinicians, including Maxorb dressing and lasers; our wound laser technology and specialized therapy eradicate infection and speed healing. 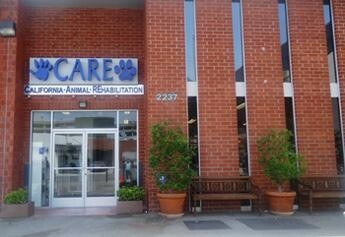 Our healing practices are mirrored in the human world in their efficacy and modernity, ensuring an appropriate parallel between owner and pet.